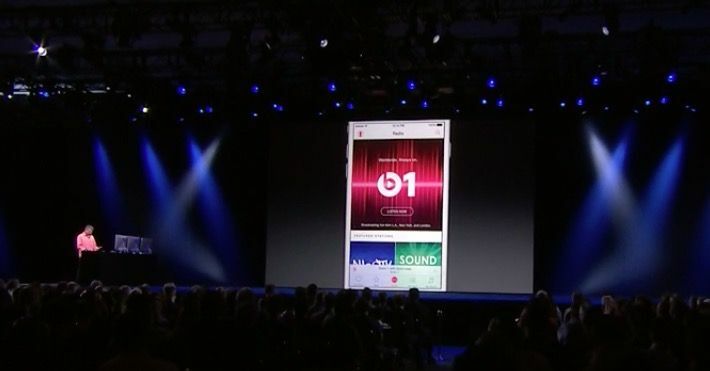 Eddy Cue demos Apple Music at WWDC 2015. Apple Music may be a streaming service, but you won’t always need an Internet connection to enjoy it. Apple has confirmed that you’ll also be able to download songs for offline listening, so you can enjoy albums and playlists when you’re on the road without data. That means you can still enjoy Apple Music on a plane, on a train, out in the middle of nowhere… just about anywhere, in fact. Just remember to download the music you wish to listen to before you leave the house, so that it’s stored locally on your device. Offline listening is a feature offered by most music streaming services, including Apple Music rivals like Spotify, Google Play Music, and Rdio. However, it wasn’t mentioned during Apple’s WWDC keynote on Monday, so many were wondering whether the service would allow it. You’ll be able to enjoy Apple Music when it goes live around the world on June 30. It will cost $9.99 a month in the U.S., or $14.99 for a family plan for six members — but there will be a three-month free trial for all users before they have to pay a penny.